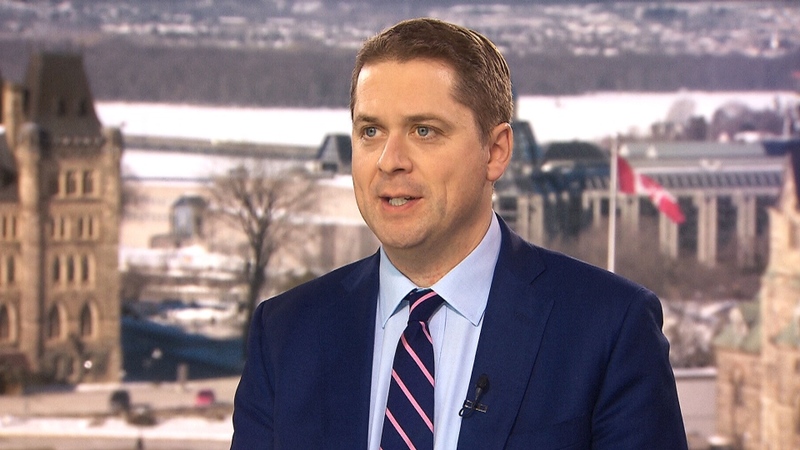 OTTAWA – Continuing to call for Prime Minister Justin Trudeau to resign, Conservative Leader Andrew Scheer says that if his party forms the next government, he'd be "open to looking at" splitting up the justice minister and attorney general roles. Jody Wilson-Raybould holding both titles at the time she alleges she faced high-level "veiled threats" and months of "sustained" pressure to interfere in the criminal prosecution of SNC-Lavalin is central to the ongoing scandal. That alleged pressure is at odds with a principle in Canada that asserts that an attorney general is able to consult cabinet colleagues but cannot be directed or considerably pushed towards making a decision related to a prosecution, as that's a decision only they can make, political considerations aside. In an interview with Evan Solomon on CTV's Question Period, Scheer said he would look at appointing two separate people to hold those roles, so that the attorney general would be insulated and not sit at the cabinet table. This is an approach used in the British parliamentary system. "That's something that, you know, I'd certainly be open to looking at as we start to clean up the mess that the Liberals have created on this file," Scheer said. "For many, many years the system worked. It's only when Liberals are in power that we start to have these types of questions." During her committee appearance, Wilson-Raybould suggested that separating these roles could be a way to keep future attorneys general removed from the political machinations that the justice minister is privy to. "There has always been a different aspect of that role within the Canadian cabinet going back over 150 years now. So it's not just as if a minister executed a program delivery improperly or wasn't the best communicator it was in her capacity as the chief legal officer of this country. She determined that would be inappropriate to intervene in an independent criminal court case and she lost her job because of that," Scheer said. As for what he'd do about deferred prosecution agreements -- the newly-passed and still-never-used mechanism tucked into a budget bill after heavy lobbying from SNC-Lavalin -- Scheer said that the mechanism isn't the issue in this controversy. He said it is a tool that Parliament has granted the judicial system, and it’s not meant to be meddled with. 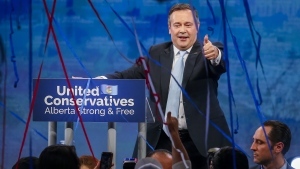 "I'm saying that I at no time when I'm prime minister will I ever pick up the phone and try to get a Crown prosecutor or judicial decision overturned or changed to benefit corporate cronies," Scheer said. Immediately following her testimony, Scheer called for Trudeau's resignation and for the RCMP to "immediately" investigate what he called "numerous examples of obstruction of justice." He's since sent a letter to the RCMP to this effect. Scheer said in the Question Period interview that while it looks to him like legal lines have been crossed, it is "up to the RCMP" to determine that. "Ultimately it's up to them to determine if there are enough grounds to proceed," he said. 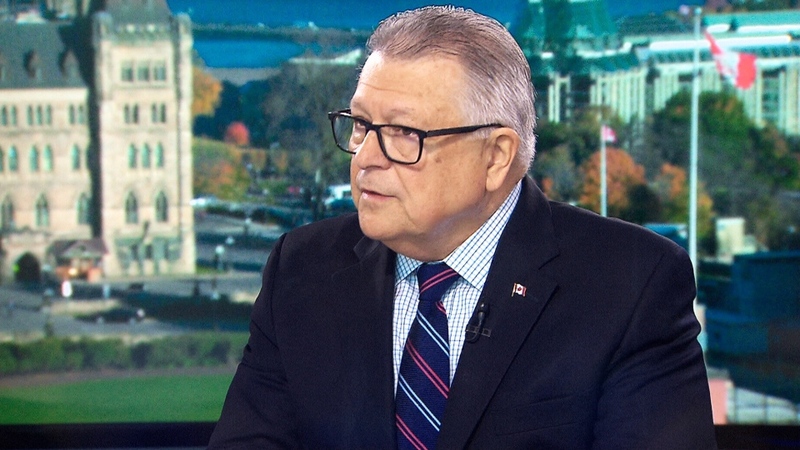 In a separate interview on CTV’s Question Period, Public Safety Minister Ralph Goodale referenced the independence of the RCMP -- which he oversees -- saying that "If there's something in the public domain that they think requires an investigation, they will do it." The RCMP have confirmed they received Scheer’s letter asking for an investigation, but will not confirm or deny a criminal investigation is underway. The scandal is set to centre stage again this week with former principal secretary Gerald Butts' testimony before the House Justice Committee, and on Friday both Scheer and NDP Leader Jagmeet Singh penned a letter to Trudeau calling on him to recall the House of Commons, which is not in session for the next two weeks. Scheer also said his caucus will continue to call for Trudeau to join the slowly-growing witness list at the committee. "Absolutely he needs to, under oath, on the record with the ability to have that kind of back and forth. We've seen in question period, he doesn't answer your questions… he needs to sit there and explain," Scheer said. Can caucus reconcile with Wilson Raybould? One unanswered question is Wilson-Raybould's future in caucus. Trudeau has said that he is still undecided if she has a place among the Liberal benches. For her part, Wilson-Raybould says she will continue to serve the constituents of Vancouver-Granville, B.C. "as a Liberal Member of Parliament." Asked about this, Goodale said on CTV's Question Period that he hopes "that there can be some kind of reconciliation," but doesn’t know if that’ll be possible after she wouldn't say if she still has confidence in Trudeau. "This has obviously been a very sad and difficult and painful experience, I'm sure on all sides, it has not been pleasant when you have these kinds of disputes and arguments and very intense feelings," Goodale said. "I would hope that there can be some kind of reconciliation… A caucus depends on internal cohesion and belief in one another and trust and confidence… And if things are going to be repaired it's going to take an awful lot of hard work, whether that can be done or not, I don't know," Goodale said. In a separate interview on CTV’s Question Period, Green Party Leader Elizabeth May said that she knows that Wilson-Raybould still has support within the Liberal caucus. "Particularly a lot of women in the Liberal caucus who are #standwithjody," May said. "It is awkward for the prime minister for sure." From 'solution' to 'anger': Reactions to SNC-Lavalin in Que. and Alta. Conservative Leader Andrew Scheer on CTV's Question Period. 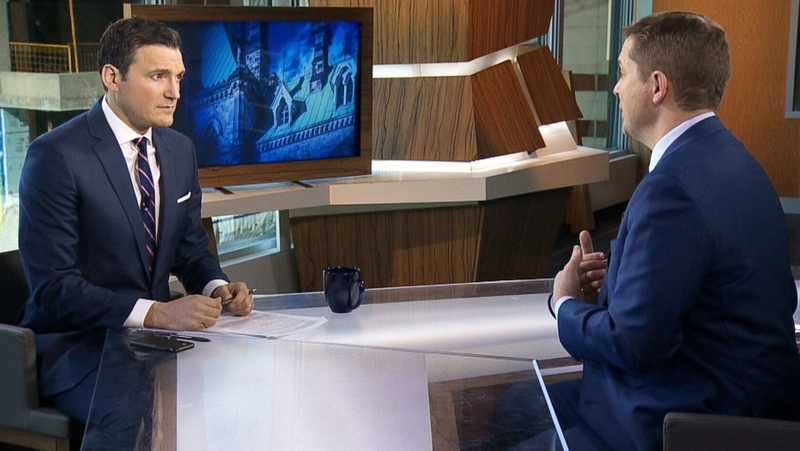 Conservative Leader Andrew Scheer on CTV's Question Period with host Evan Solomon.